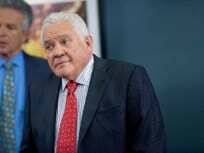 On Major Crimes Season 4 Episode 23 seven murders tie together and the suspects are narrowed to three while Provenza and Patrice resolve their wedding drama. On Major Crimes Season 4 Episode 22, Sharon gains leverage against Rev. Price, his attorney and Hickman while Cooper and Sykes get caught in a gunfight. On Major Crimes Season 4 Episode 21, a potential gang war erupts with three more murders and Sharon focuses attention on a former LAPD detective. On Major Crimes Season 4 Episode 20, the team makes a startling discovery in a church while Rusty discovers that his biological mother's ex is a fugitive. On Major Crimes Season 4 Episode 19, a woman and her son are shot while driving through gang territory and the gun used is connected to a series of murders. On Major Crimes Season 4 Episode 18, Sharon and the team attempt to track an crazed killer who is making his own film using his victims as the stars. On Major Crimes Season 4 Episode 17, the team's investigatation takes an unexpected turn when a professional baseball pitcher's daughter goes missing. On Major Crimes Season 4 Episode 16, Sharon and the team investigate the death of a fugitive diamond thief and Rusty ends up in a tight spot because of Slider. On Major Crimes Season 4 Episode 15, the team investigates when a young man with no financial means lived in a luxury highrise before being pushed to his death. 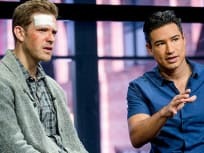 On Major Crimes Season 4 Episode 14, Flynn suffers a medical setback as Thanksgiving approaches while the team investigates a road rage incident. On Major Crimes Season 4 Episode 13, a murder occurs during the taping of a reality competition show pitting married couples against each other. On Major Crimes Season 4 Episode 12, Jack Raydor returns as he defends a man who wants to withdraw his confession in the killing of his wife. 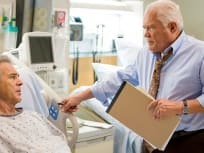 On Major Crimes Season 4 Episode 11, four wealthy people are left for dead outside an emergency room in a murder that leads through a large list of suspects. On Major Crimes Season 4 Episode 10, the team investigates a motorcycle gang and a missing boy when the son of a tough on crime judge is murdered. On Major Crimes Season 4 Episode 9, the team investigates when an online video shows a bloodied, half-naked man walking down a street with a gun. 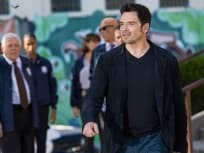 On Major Crimes Season 4 Episode 8, when old kidnapping investigation is reopened, the Major Crimes Division must partner with a potentially corrupt FBI agent. 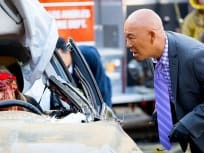 On Major Crimes Season 4 Episode 7, an officer-involved shooting has the unit working with the Deputy Chief of the LAPD Special Operations Bureau Fritz Howard. 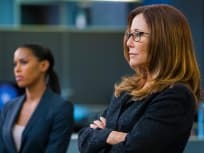 On Major Crimes Season 4 Episode 6, when the squad falls into a web of connections as they find a pile of bones and realize their victim has an unnerving past. 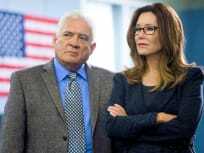 On Major Crimes Season 4 Episode 5, Sykes must protect a witness to a gangland shooting and Flynn struggles with moving his relationship with Sharon forward. 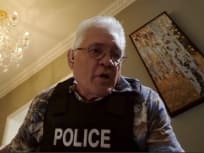 On Major Crimes Season 4 Episode 4, Buzz discovers a dead body in a hotel room which threatens to ruin Flynn and Provenza's 4th of July plans for the squad. 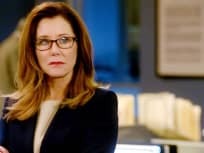 On Major Crimes Season 4 Episode 3, the team investigates the murder of a supermodel while Raydor and Rusty are served subpoenas concerning Alice's murder. On Major Crimes Season 4 Episode 2, a body in a trunk leads the team to investigate a celebrity chef, a pediatric psychiatrist and a bankruptcy lawyer. 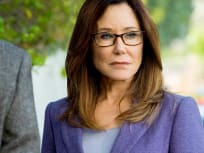 Major Crimes Season 4 Episode 1 finds the squad investigating a double homicide related to an ongoing string of home invasions in the Hollywood Hills.